IIT Jammu Recruitment 2018 Notification is released by Indian Institute of Technology Jammu. The IIT Jammu is ready to recruit 60 Assistant Registrar, Junior Assistant, Junior Engineer, Senior Laboratory Assistant/ Senior Mechanic Vacancies. So, interested candidates can fill the form and submit it before the closure date that is 23rd January 2018. The mode of applying for IIT Jammu Recruitment 2018 is online. Applying candidates can check Post Wise Vacancy Details, Application Fee, Age Limit, Application Fee, Selection process, Salary Details, Important Dates details are provided here. So, before filling the online application form aspirants can read this complete article and apply for IIT Jammu vacancies 2018. More information go through the below section and refer the information. Visit the official website of Indian Institute of Technology Jammu iitjammu.ac.in. IIT Jammu Recruitment 2018: The Indian Institute of Technology Jammu has dispatched a new notice for the unemployment candidates to fill up 62 Assistant Registrar, Junior Assistant, Junior Engineer, Senior Laboratory Assistant/ Senior Mechanic and Other vacancies. The Indian Institute of Technology Jammu is inviting talented candidates. Applying contenders must have 60% of marks in the UGC or its equivalent. The Post Wise education qualification details are clearly mentioned in the official notification. The IIT Jammu Recruitment 2018 Notification is dropped at the bottom of the page. Applicants can check this article or refer the official notification. Job Seekers who are looking for Indian Institute of Technology Jammu Notification here is a good news. Most of the aspirants are showing their interest in IIT Jammu Recruitment 2018. For the sake of aspirants in this section, we had updated complete information on IIT Jammu Jobs 2018. The closure date for submitting the application form is 23rd January 2018. 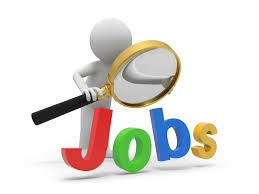 On our website, SarkariRecruitment.com job seekers can get latest and upcoming government jobs. The Indian Institute of Technology Jammu has inviting online application forms to recruit Assistant Registrar, Junior Assistant, Junior Engineer, Senior Laboratory Assistant/ Senior Mechanic and other Positions. Aspirants can check this page and apply for IIT Jammu Recruitment 2018. As per the notification totally 62 Vacancies are available. So, interested candidates can hurry up and submit the application form before 23rd January 2018. After completion of the last date, the Indian Institute of Technology Jammu officials is simply rejecting the application forms. Applicants minimum age limit is 30 Years and the maximum age limit is 40 Years. The upper age relaxation is as per Indian Institute of Technology Jammu norms. The applied candidate must clear all the selection rounds. The Indian Institute of Technology Jammu is going to conduct the Written Exam and Personal Interview for the applied aspirants. Othe details like Eligibility Criteria, Application Fee, Pay Scale details is given below. In the below section we mentioned simple steps to apply for IIT Jammu Recruitment 2018. Job Seekers who are eagerly looking for government jobs in Jammu State can apply for IIT Jammu Recruitment 2018 Notification. From here you can find all the mandatory details about IIT Jammu Recruitment 2018. The officials are clearly said that the General and OBC category candidates must pay Rs. 200/- as application fee. And remaining category candidates need to pay Rs. 100/-. The given details are released by Indian Institute of Technology Jammu officials. So, refer the details and apply before the closing date. The applicants must face Written Exam and Personal Interview. The aspirants who are selected for Assistant Registrar, Junior Assistant, Junior Engineer, Senior Laboratory Assistant/ Senior Mechanic Jobs they will get good pay scale. Prepare well and crack the selection rounds. To help the candidates we are providing complete and clear details. Moreover, complete details are updated in this article. Assistant Registrar: Candidates must complete their UGC or its equivalent B.sc, a Master’s degree with 60% marks from any recognized university. Junior Assistant: Aspirants must complete their Bachelor Degree in any discipline with 60% marks with minimum typing 40 wpm / 35 wpm. The applicant’s maximum age limit is 40 years. The Age Relaxation for SC/ ST/ PWD/ PH candidates is as per government norms. Candidates selection process is based on Written Exam and Personal Interview. Aspirants who want to get a job in Indian Institute of Technology Jammu they must prepare well and crack the selection rounds. General and OBC category candidates must pay Rs. 200/-. And other category candidates need to pay Rs. 100/-. For Junior Assistant: Rs 5200 to Rs. 20200 / – +Rs 2000 / – Per month. The Closing Date For Submitting the Application Form: 23rd January 2018. Last Date For Print Hard Copy: 29th January 2018. At first, all the interested candidates can refer the official website of Indian Institute of Technology Jammu iitjammu.ac.in. On the home page search for IIT Jammu Recruitment 2018 Notification Link. Click on the link and read the information completely. After that suitable candidate can download the application form. Fill the form with required details and upload a required documents. Hope the above provided IIT Jammu Recruitment 2018 Notification details are useful for the applying aspirants. Bookmark this web page and get instant updates about IIT Jammu jobs 2018. Stay tuned to our website for latest updates. Also, check your Exam Results on Sarkari Result.